Island greens. Long tree-lined fairways. Dog-legs left . Dog-legs right. Abundant wildlife – deer that actually come into play on some holes. The people who love this course play to all levels. They like The Rock because it’s an experience, not just a round of golf. The Rock was cut out of limestone and is trimmed by hardwood and cedar, crafting each fairway separately over 400 acres. Play on The Rock is controlled. Each group of golfers is in their own game, and virtually isolated from other golfers. 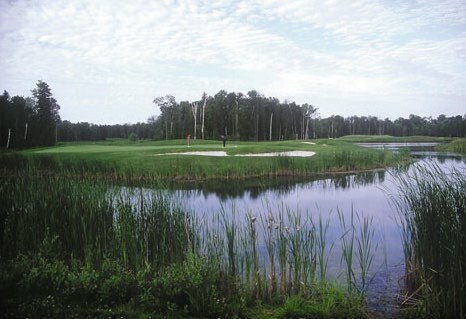 Each hole has four tees and therefore, four possible challenges to choose from. — Rick Sylvain, former Michigan Travel Editor, Detroit Free Press. The Rock participates in the Audobon Cooperative Sanctuary System, proof that this isn’t just one of the best golf courses in the Midwest–this is a thriving wildlife habitat as well.